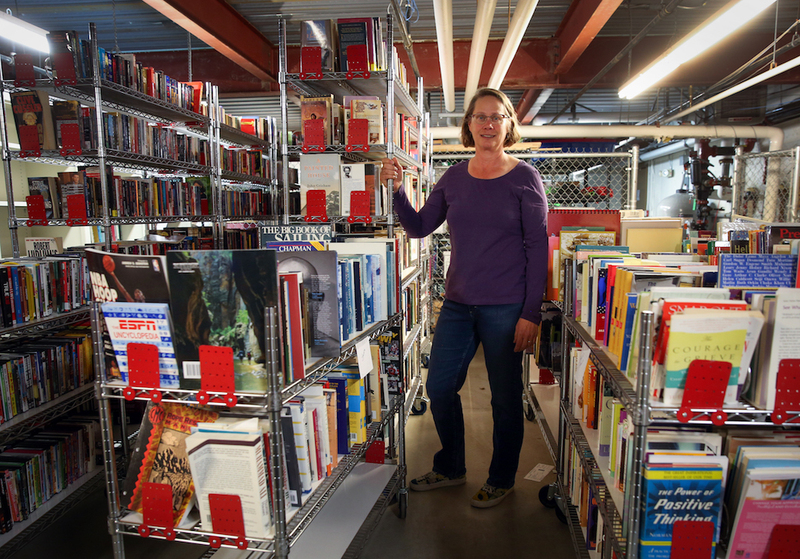 ﻿(Tanzi Propst/Park Record) Toni Adams, the co-chairwoman of the Friends of the Summit County Library’s used book sale, stands among the hundreds of donated books in the basement of the Kimball Junction Branch last November. This year’s spring sale will feature a kick-off event at the Coalville Branch on June 3, and continue June 9-11 at the Kimball Junction Branch. Friends of the Summit County Library wanted to do something a little different for this year's used book sale. Coalville branch before hosting the big one at Kimball Junction. The Coalville sale will start at 2 p.m. on Saturday, June 3, at 82 N. 50 East. The event is free and open to the public. "This is the first time we're holding a sale there," said Toni Adams, co-chairwoman of the used book sale. "We are hoping to create a little buzz out in the eastern side of the county." The Coalville Branch opened in 2012 after being house for years in a smaller location, and there is a new building currently under construction for the Kamas Branch, Adams said. "So the library services have been expanding further east," she said. The Coalville sale will have an array of fiction and nonfiction books. "We accept donations at all of the branches, so there will be books that were donated specifically to the Coalville Branch," Adams said. "The librarians sift through the books and keep those that will circulate well and then offer the others to the public." The sale will continue with a Friends of the Summit County Library member's preview from 5-8 p.m. on Thursday, June 8, at the Kimball Junction Branch. "People who aren't a member can come and pay a $10 membership fee and shop," Adams said. "The preview always has the best selection." The sale will opens to the public from 10 a.m. to 6 p.m. on Friday and Saturday. Admission will be free. "This one will be held in the big auditorium at Kimball Junction," Adams said. "We fill that room with books. We have a storage area in the basement of the building where we store the books until the sale." These books will be brought up and showcased on rolling carts. 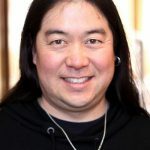 "We have one person whose task is to sort through the books and separate them in different genres and then bring them to the auditorium," Adams said. "We also have boxes of children's books that are brought up as well. We have people who sort through those books as well." Volunteers will meet at 9 a.m. on Thursday to set up the sale. "We are also fortunate to have the Utah State Prison work crew help us get the rolling racks from the basement," Adams said. In addition to books, there will be CDs, audio books and some DVDs for sale and donations are still be accepted. The annual used book sale started in 1993, Adams said. "Our previous president, Tina Blake, had been with the Summit County Library since its inception 24 years ago, when we held the first sale," Adams said. "We continue to do it because all of us firmly believe the library is such an important part of the community. "It's imperative that we have something for kids to do that keeps their brains in the game during the summer. That's why we provide a lot of funding for programs kids and teens." Adams got involved with the Friends of the Summit County Library nearly 15 years ago. "My son, who is now 21, has the distinct honor of purchasing the first book during the first sale that was held at the Kimball Junction Branch after its renovation," she said. "Both my son and daughter have been avid readers all their lives. I'm a reader and my husband's a reader. 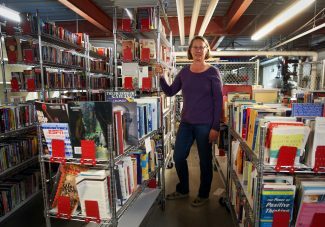 So, to make used books for sale to people who love to read or who leave them in places where people can read them gives you a warm and fuzzy feeling." Friends of the Summit County Library will present a used book sale from 10 a.m. to 2 p.m. on Saturday, June 3, at the Summit County Library Coalville Branch, 82 N. 50 East. The sale will continue with a members preview from 5-8 p.m. on Thursday, June 9 at the Summit County Library Kimball Junction Branch, 1885 W. Ute Blvd. The sale opens to the public from 10 a.m. to 6 p.m. on Friday, June 9, Saturday, June 10. Proceeds from the sale will help support the library's programs. For information, visit http://www.thesummitcountylibrary.org.